This is an old collage from 2007. 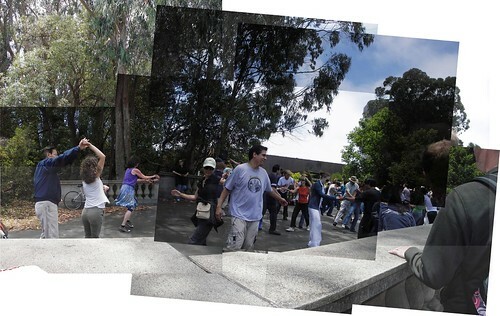 Twelve years ago, Isabel and I visited the Conservatory of Flowers. 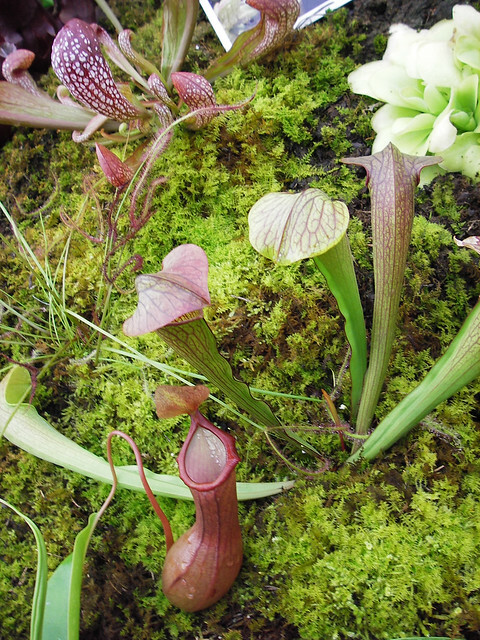 They had a lovely display of carnivorous plants. I wonder if it is still there. On this day, in 1960, 4 college freshmen, Joseph McNeil, Franklin McCain, Ezell Blair Jr., and David Richmond from North Carolina Agricultural and Technical State University finished shopping at Woolworth’s in Greensboro, NC and sat down at the lunch counter, ordering coffee. Unlike the rest of the store, the lunch counter was racially segregated, and they were refused service and asked to leave. They remained in place until the store closed, starting the Greensboro Sit-ins. The movement quickly grew and spread. Most sit-ins remained physically peaceful. However, the students were confronted with vicious verbal harassment. The response by white mobs in Chattanooga, TN and Jackson, MS was violent. Essentially, Clarence Harris said that it should be okay to not serve black people at the lunch counter because 30% of the Greensboro Woolworth employees were black and because white people wanted to eat with only white people. It was after several months of store losses which resulted in a substantial loss of Harris’ personal income (based on store sales) that Harris decided to integrate the lunch counter. IMNSHO, Harris’ was a racist and gave in due to personal financial pressure. His was not the 5th seat.